As a child, Ti Moune survives a Caribbean hurricane that kills her parents, and grows up to fall in love with a boy she rescues from a car accident, only to have him marry another woman after she has nursed him back to health. Brutally rejected, she dies of a broken heart but has the honor of being turned into a tree by the gods. Since “Once on This Island” is a fable, based on Rose Guy’s novel “My Love, My Love,” we’re not supposed to look for psychological motivations or wonder what it says about a woman that she falls in love with the least worthy man on the island, Daniel, a light-skinned rich kid who lives in the island’s gated community. And because it’s a fable there are more gods controlling Ti Moune’s fate than there are people, whom she never listens to, because love is good even when its sole purpose is to make you unjustly suffer. What Ti Moune really needs is a god named Gloria Allred. Instead, Ti Moune finds herself torn between Erzulie, the goddess of love, and Papa Ge, the demon of death. 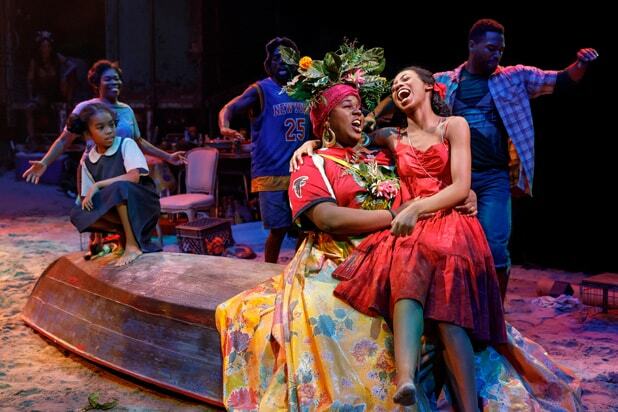 The first Broadway revival of “Once on This Island” opened Sunday at Circle in the Square, and the odd thing about its casting is that the show’s Ti Moune (Hailey Kilgore) more resembles Papa Ge (Merle Dandridge) than she does Erzulie (Lea Salonga). Making her Broadway debut, Kilgore might want to reconsider her choice of god role models. 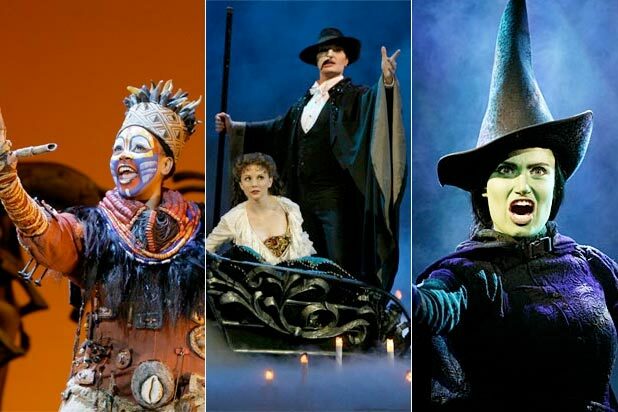 Salonga’s Broadway career began 25 years ago with her Tony-winning debut in the original production of “Miss Saigon” and her singing voice retains a vocal purity that continues to astonish. Dandridge and Kilgore belong more to the caterwauling school of Broadway braying that current audiences often lavish with ovations. Playing the demon of death, Dandridge is expected to make some loud, questionable sounds. Kilgore’s abrasive tone is much less acceptable, as are her facial grimaces. Playing the heroine’s callow love interest, Isaac Powell curiously patterns himself more after Salonga, and beautifully undersells “Some Girls,” a song about the woman Daniel loves versus the woman he’ll marry, making it the most poignant moment in this revival. Michael Arden’s direction turns Circle in the Square into a sand-filled box complete with live chickens, a goat that wears a diaper, and a dank sandbag-lined pool through which the actors make many of their splashy entrances and exits. The hurricane early in the show, with wind machines blowing at your back, is truly thrilling. But overall that environmental set by Dane Laffrey is perhaps a little too authentic. It recalls one of those erstwhile island paradises you travel thousands of miles to visit only to wish you’d gone to the Jersey shore instead.